Professor Ian Rotherham is an expert on a range of environmental issues, including urban wildlife, extreme weather, flooding and climate change. He has published extensively in academic journals, and has released a number of books on UK wildlife and the environment. He writes regular columns for local and regional newspapers and has a weekly phone-in on BBC Radio Sheffield and has advised and appeared for national news and documentaries. Ian works extensively with the media as a writer, broadcaster and as a specialist commentator on key environmental issues. He has advised documentaries such as BBC Horizon, and has advised and appeared in BBC Panorama and on all major news channels. He regularly works with the BBC Radio 4 Natural History team and the BBC Radio 4 History Programme. 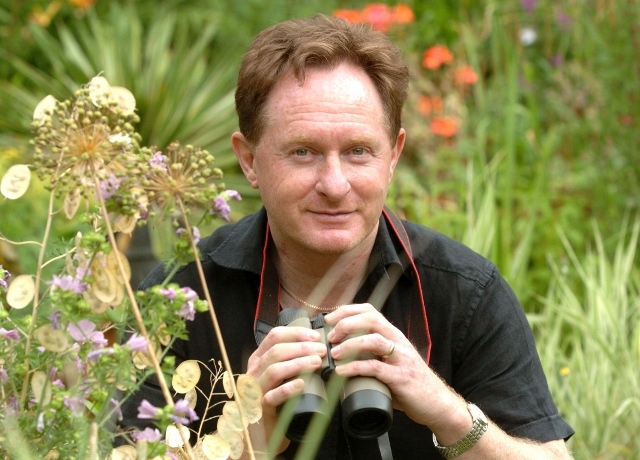 He has also advised and appeared for Countryfile and BBC Spring Watch / Autumn Watch. Thanks very much for verifying the plant I took a picture of at Salmon Pastures last week as the invasive species, Giant Hogweed. Needless to say I was pretty alarmed by the find as I’ve never seen it on the Don before. I did know of a small clump that has recently appeared near The Broadfield pub on the river Sheaf but didn’t think it would have travelled downstream so quickly. I’ve been out to get an idea of how much of it there is and taken images of several sites I’ve since found along the Sheaf and as far down the Don as the 5 Weirs Walk footbridge below Newhall Road. Here are the links to the snapshots which were taken with GPS tags so you should also be able to pinpoint their location via the google map on the right hand side. Fingers crossed Sheffield’s river-conservation volunteer group ‘SPRITE’ may have the capacity to treat the plant which, at the moment, appears to be in very early stages of colonisation. Given that human contact with the plant can cause burning of the skin and even blindness, I’m sure you’ll agree that this is another invasive plant species alongside Japanese Knotweed and Himalayan Balsam that we could really do without! I was informed recently that all the beautiful Cherry Trees on Grange Crescent Road which is just off the top of Cemetery Road; the whole road full of beautiful Cherry Trees Amy has planned to cut down. Sign the online petition and contact the campaign organisers. Email your local councillors and MP Nick Clegg. ‘Save the 12 Trees on Rustlings Road, Sheffield’ on Google will get you there. Do you have a way of contacting the campaign organisers? None is evident on the petition page. I want to offer support. I will pass your email on. I would like to thank you for your efforts over the Sheffield trees. I have written to as many people as I could. What I would really like to say to you, as a much more effective voice than mine, is that Sheffield City Council has pinned notices across the road from my flat declaring their intention to put a preservation order on 4 or maybe 5 trees that the owners of those flats are intending to cut down in order to save costs… sounds familiar? While I applaud their intentions, and have written in support of their claim that the loss of these trees would negatively impact the environment, view etc, I fail to see why they do not apply this principle to those trees now in the captivity of AMEY. (Amey who cut down my huge laburnum tree at 7.30 in the morning in the rain and then sent me a bill for £800). I’m still ready for action… Let me know how to help in any way! I’ve just discovered a false widow infestation on the outside of the southern wall of my house in the west of Surrey. They match verified images of the species perfectly – size, colour, and markings. They are definitely not missing sector orb weavers, and I am confident that they are not lace webs/weavers. There are two or three under each sill of six windows, where the builder has left a small gap into a space behind the bricks. And yet it is very cold outside – about 3 degrees Centigrade, with a bit of a chilly wind too. So much for them needing to head indoors for winter warmth! I have a couple of small children, and one has a number of acute medical problems. This makes me unapologetically highly risk averse, so I am going to kill them and check the sills at least once a week. Does Amy have a tree felling licence? Not sure – one assumes so but maybe for this sort of work it is not required? Does anybody know – if so, please say.